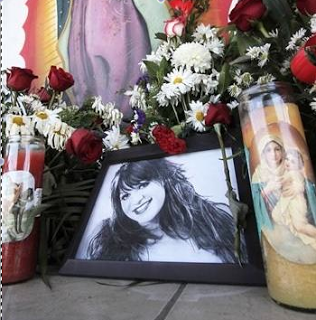 The weekend plane crash carrying singer Jenni Rivera will require DNA tests on human remain and days if not weeks to piece together the material remains of the plane. The plane crash left small fragments of human remains which were moved to a hospital in Monterrey, the closest major city, Rivera's brother singer Lupillo Rivera was driven past a crowd of reporters to the area where the remains were being kept. He has not spoken to the press. Investigators were testing DNA from the remains in order to provide families with definitive confirmation of the deaths of their loved ones. Alejandro Argudin, of Mexico's civil aviation agency, said it would take at least 10 days to have a preliminary report on what happened. After the crash rumors spread of possible cartel involvement in the crash, of sabotaging the plane. Rivera had often spoken out against cartels. Starwood Agency is the owner of the plane. Nevada secretary of state records list only one Starwood officer , Norma Gonzalez , however it is alleged that Norma is used as a front for the company which is owned and managed by Ed Nunez, who is also known as Christian Esquino [at left] and has a long criminal history. The company is the target of a federal lawsuit, and had one of its planes seized by the DEA in McAllen, Texas in September, according to the Associated Press. 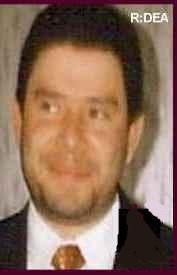 Esquino pleaded guilty in federal court in Orlando, Florida, in 1993 to conspiracy to possess and distribute cocaine. 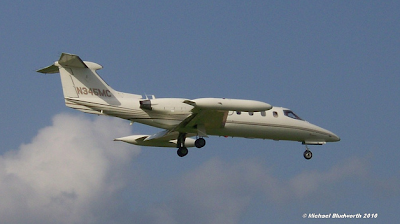 Esquino also served two years in prison after pleading guilty to conspiracy to commit fraud involving an aircraft in Southern California in 2004. Esquino's attorney stated in court that his client is under investigation by the DEA . Allegations are that Esquino has ties to the Tijuana Cartel. After his prison stint he was deported to Mexico. Rivera is a Long Beach California native known as the "Diva de la Banda". 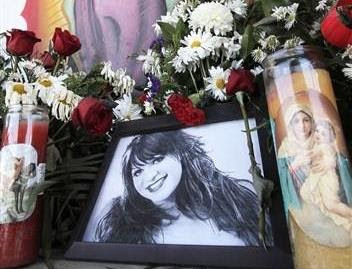 She was immensely popular in the US and Mexico and considered the top female artist in both for her genre of music, “grupero” , a male-dominated Mexico regional style, she had branched out into acting and reality television, as well as being a judge on the popular “La Voz” television program in Mexico. A 43-year-old mother of five children and grandmother of two, was known for her forthright openness about her struggles growing up in a barrio and hardships making sure her children had a better life than her own, despite a series of setbacks. She had recently filed for divorce from her third husband, former Major League Baseball player Esteban Loaiza whom she is still legally married to. Rivera recently won two Billboard Mexican Music Awards: Female Artist of the Year and Banda Album of the Year for "Joyas Prestadas: Banda." She was nominated for Latin Grammys in 2002, 2008 and 2011. She appeared in the indie film Filly Brown, which was shown at the Sundance Film Festival, and was filming the third season of "I love Jenni," which followed her as she shared special moments with her children and as she toured through Mexico and the United States. 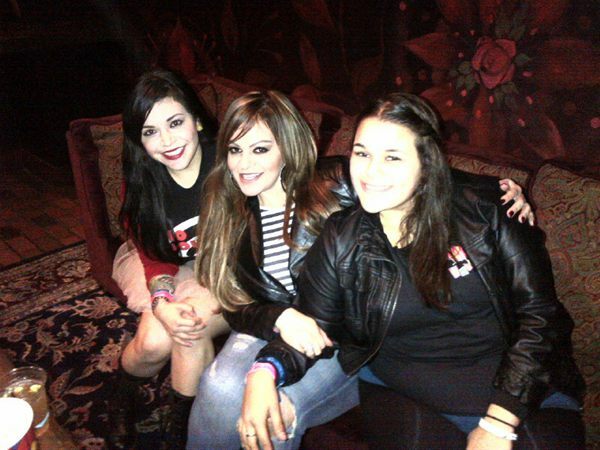 She also had the reality shows: "Jenni Rivera Presents: Chiquis and Raq-C" and her daughter's "Chiquis `n Control." Two of her five brothers, Lupillo and Juan Rivera, are also well-known singers of grupero music. Her parents were Mexicans who had migrated to the United States. 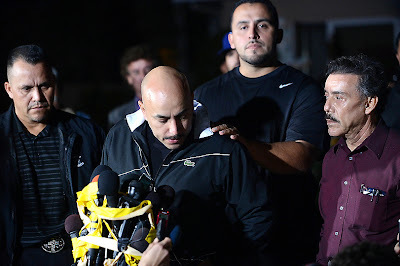 At the Lakewood California home of Jenni’s father Pedro Sr, and Lupillo Rivera, devoted a few words to the media present. "On behalf of my sister Jenni and my family, we thank all the support they have given us, sorry we have not given interviews as it should be, but it is happening because we are not having an easy time, "said the singer obviously deeply shocked, Lupillo took time to talk about his sister, and thanked the fans all the support you have shown to the family this weekend. "I know you want more, but it's what we have. thank you to the public for all the" tweets ", by Facebook messages, and all you have done for my sister, and soon you will see more things, thanks for all the support. The video above is Jenni's song "Cuando Muere Uno Dama" [When a Lady Dies]. The song is a reflection of how she anticipates her funeral will be. She also sings about her struggles and her motto of fighting to the death for her five children. Once again thanks for an excellent article. My prayers to the family of this talented,beautiful woman, who died so young and tragically. Another lose to the people who loved her music internationally. Vegas has been a criminal haven since it's inception Do you know why she was on plane owned by criminal? Was she dojng a showin Vegas? Was he involved with her career or personally, due her filing for divorce? Or is it a random tragedy? Pleaze kssp us informed. Also, when is the next court date of "Guzman's maybe daughter? ".You are very appreciated here in Texas!!! I dont think the cartels arn't involve. Whos idea was that anyways? Some how it was pilot error. Although Jenni's death is tragic, I don't see why you would post the speculation of her death being related to drugs in BB. Until something is proven why start rumors? I am under the impression she didn't own the private jet? Correct me if I am wrong. We have heard the rumors of her family before but they have always seemed like genuine people who worked hard to achieve the American dream. This is a website that is suppose to be covering the Mexican-American drug war right? Did you read? She was an anti-cartel crime advocate. Her music is also tied to some of that culture. Just look at the big picture. Literacy does not define Intellect. I am so saddened by this, I posted on another story on this board about her performing in the area of Mexico she was in and hoped she would be careful and then a few days later she is dead. Words can not describe my sorrow for her and family. So much speculation about the details surrounding her death, just have to wait and see. On twitter her youngest son had contact with some medium saying Jenni was still alive, someone should rot in hell for misleading that child. As far as her daughter who according to reports had not spoken to her mother in a month, how distraught she must be that it ended like this. Some boards are circulating crash photos with body parts, not sure what to make out with that. She took to the grave whatever happened between Esteban and herself, but only married for 2 years, it had to be very bad for her to end the marriage. Seeing him on her show I love Jenni, never got the good vibe from him. Nice tribute to Jenni - you both did a nice job. We lost someone who could make us proud! I am sorry and muy triste. Magnificent first foto and heading! Jenni was "Bigger than Life!!" That foto says it all. "I came, I saw, I conquered!" It was a difficult decision to post this article. My fear was there would be people that would not read carefully and assume jenni was involved. Go back and read slowly, it is clear we are not saying SHE was involved. But when you see the plane owned by a known and convicted drug trafficker, Jenni speaking out against the cartels, the rumors and facts, something is not right. For you info this is news in the US media...google it. I know we have been fair and responsible with posts. Jenni is from my home town. She lived on the west side, graduated from Poly HS. This is the "other side of the tracks". She is 2nd generation immigrant. She is very loved. as for her husband, there are two big rumors, I don't believe either one. not only her music was admired, but she was a strong woman and incredible mother. Most probably do not know her struggles, which includes her former husband sexually abusing her daughters, she went straight to the police and made sure it was convicted. He got 25 years but killed him self after a few months. strangely one daughter she protected turned on her and blame her, and refused to speak to her mother for a long while. My cousin taught Pedros child, he is a pastor jennies brother-my cousin told me last night that even 20 years ago the family all gathered money each year and bought thousands of gifts of needy kids. they still do that project each year. Pedros work expanded into Mexico and Africa. These are good people, and family is everything. her work outside of showbiz. Jenni also established the Jenni Rivera Love Foundation, which was devoted to helping abused kids, cancer-stricken kids, single moms, migants, and women who were victims of domestic violence. GUEROS MEANS KILL WHITE PEOPLE. DO A STORY ON BRUJERIA BAND. NOS TRATAN COMO MIERDA DE PUERCO!!! UN PINCHE VALAJE AL SUR!!! SIGLOS PASAN Y NUESTRA RAZA SE JODE!!! TU VENGANZA SEA TU DESTINO ESCURO!!! What kind of beat you put for this? Thanks for the tribute Chivis. 11:22. If as CNN reported is true, Jenni was going to buy that plane. If I was going to spend 250k on a plane, I'd check out the history of the plane. 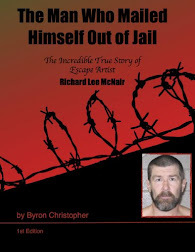 The company and Nunez have had numerous lawsuits about lying about the conditions of many of their planes and the govt.got convictions on this man and his company,ncluding drug trafficking. I know it was a difficult story to write due t the deaths of 6 people. But, BB always gives us the truth and doesn't sugar coat it. Also, at her last concert it's true that many high profile drug traffickers were in the VIP section. In no way am I saying she's guily of anything but one of Nunez planes crashed with alot of drugs on board. We lost a beautiful talented woman but she seemed to be very naive about men, ex-husbands and friendswho traffic drugs. May she rest in peace and sing like an angel in Heaven. Thanks BB ignorance is not bliss, the truth must prevail...no matter who you are. P.S. Chivis and Havana, you are a blessing to us. Jenni I believe was innocent but her older brother Lupillo may or may not be involved with illegal cartel activities - He's been a (in my personal opinion) very suspicious character for many years when he was active as a singer, giving concerts, etc. "On Dec. 10, an assailant shot at least seven times at norteña singer Lupillo Rivera as he was driving away from a restaurant in Guadalajara. The Los Angeles-based singer, who was not harmed, said the attack was an apparent robbery, but many speculated that it was connected to traffickers." Maybe they just didn't like his wackass music!! mo mames esa cancion es de BRUJERIA "matando gueros"
Gracias Havana y Chivis, es u gran tributo a Jenni, quien tuvo una vida muy difícil y sin embargo siempre se mostró positiva, fuerte y feliz. Siendo un ejemplo para las personas, no claudicando, ni aceptando malos tratos, siguiendo siempre adelante. Yeah,I was just gonna ask the same question...what's the scoop,tell us....I know was that he was with the daughter,but what's the other one. Lupillo Rivera staged his attack. He noticed all the publicity that was surrounding the Valentin Elizalde incident and he tried to capitalize. Ever since that his popularity declined. Now I'm sure he will be stronger than ever... Just look at what Selena's death did for AB. HINT! HINT! No! !..I think his popularity declined after he put that stupid tattoo of Vicente Fernandez's brand on his arm,what a freaking jackoff! !I think this is worse than putting a woman's name on yourself. I don't think she was involved in drugs. She was just in the wrong place at the wrong time. I think that her plane was shot down accidentally by the Mexican Army because they misidentified it as a narco plane. Her plane left at 3 a.m. think about it? 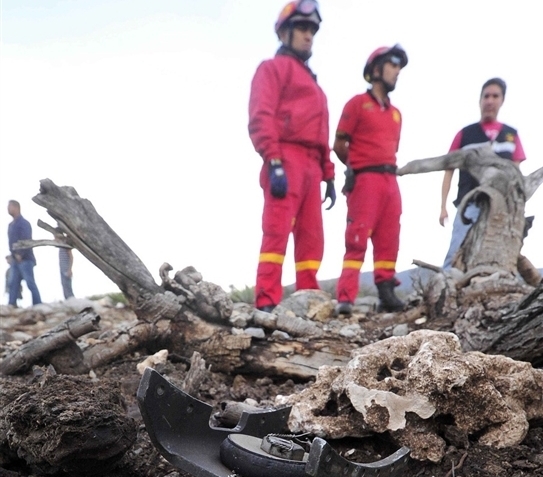 The Mexican Army was all over the crash scene first (possibly looking for air to air missle pieces at crash scene) the way the crash debris was spread on the mountains points to an airial explosion. Mexico is a drug war zone any planes flying at night will be suspect. The rumor mill has gotten pretty nasty about Jenni Rivera's divorce from husband Esteban Loaiza. After La Diva de la Banda revealed the reason why she dumped her ex during her recent appearance on El gordo y la flaca, gossip sites have claimed that her daughter Chiquis Rivera may have been having an affair with her stepdad and is the major source for the nasty split. The second allegation I can't post, because my family in Long Beach told me what people are saying but I have not read it anywhere so lets just say he was said to be having an affair with not a family member but "someone else"
En entrevista con el programa El gordo y la flaca (Univisión), la cantante hizo una cronología de cómo llegó el momento en que decidió pedir el divorcio a quien fuera su esposo por dos años. “Un día, hace tres semanas, vi que las cosas no eran como pensaba. El 21 de septiembre me di cuenta de algunas cosas, investigué más, y el 23 de septiembre le pedí que se fuera de mi casa. El 28, 29 y 30 de septiembre, cuando me fui de gira a Texas, mi público lo vio, sabían que algo estaba mal conmigo. El 1 de octubre llego de esa gira, veo a mi abogado y puse la demanda”, le contó a Raúl de Molina. Rivera dijo que pidió “intuición” a Dios para lidiar con la situación. “Uno se da cuenta que el príncipe azul no es tan príncipe”, agregó. La cantante expresó que la pasó muy mal y que vivió cosas que ni su propia familia vio. Fue tal la sorpresa y el shock, que pidió estar sola en su casa. "most people did not know jenny or her family. get a grip"
"I posted on another story on this board about her performing in the area of Mexico she was in and hoped she would be careful and then a few days later she is dead"
A bit weird that wasn't it,i think i saw your comment in the story about Maria Susana Flores Gamez sayin she was goin to a concert by her? Your remix is from the band band Brujeria. Yeah, something is very fishy. If the plane flew for 10 minutes without problems how is it that suddenly it nose dives and drops from the sky? We all know what goes on in those jungles and how they are used by cartels to smuggle their drugs and anything that gets in their way will be eliminated. Just saw tonites CSI where they investigate a plane crash, similar jet to the one Ms Rivera was on. I will not go into the plot, but hope others get to see this episode. Little things that can be done to sabatoge a plane and how important it is to collect what is left behind in order to understand what happened...so sad to hear on the news of the arrest of 2 young officers for taking personal belongings from that plane crash of Ms Rivera. I wanna marry the two daughters on the left,you can have the last one on the right...ok.
angel del villar was her daughter's (chikis) boyfriend at the time of the altercation that happened with jenny last month in L.A.
We will never know too much speculation rip jenny kudos to chivis havana and all bb reporters that keep us informed at all levels of the media spectrum thanks. NO,IDIOT,WE WANT TO KNOW MORE!! Great work Chivis and Havana Pura, y'all did a fantastic job, so sad, I was just reading an article about how illegal revenue seeps intentionally or not, into every aspect of a society. Its not surprising she is indirectly linked, in a way if you are in a particular area, its hard not to be. Which begs the question, are we fighting the right war? Didn't like her music anyways. With so many x husbands and boyfriends she must've been very difficult. 8:10 AM - We chose not to add that carnage for that same reason, everyone else was including it, and no one knew for a fact if it was really her. I think Chivis will be doing an Jenni investigation follow up. @ACI Thank you. 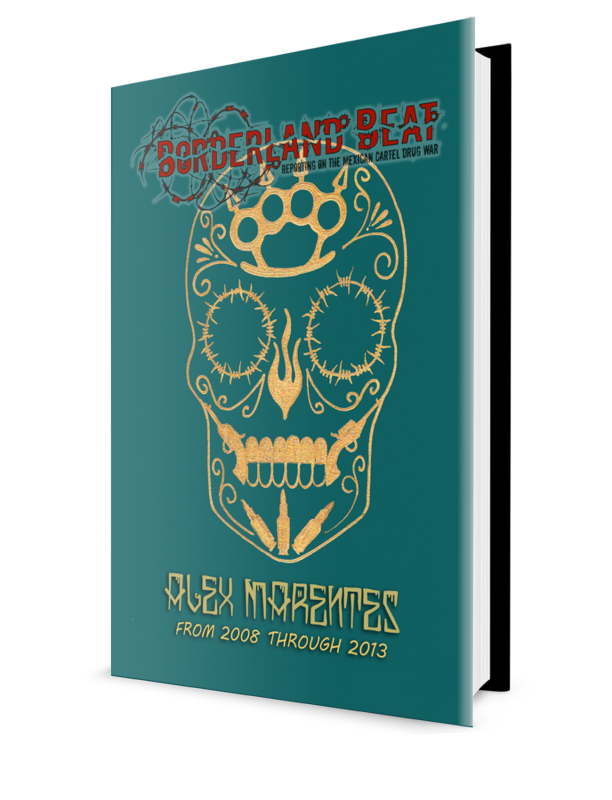 This is a sad story with more bound to unfold besides Jenni's refusal to launder money for los Zetas. But more than a badly maintained plane? We'll see. As far as the $64,000 question of fighting the right war. The fight needs readjustments. Angel del villar is just a mandadero for los Avenda~os de Cosala. I don't think he would try to sabotage the airplane or anything, because it could bring on unnecessary heat to his operations. Since it was an old plane and had a record of accidents, etc., more than likely it had a plain ole malfunction and went down. U both above are some serious dumfucks or 12 yrs old....yeah,like they the only Avendaños,parrandero baboso....and the other pendejo,like if anybody who knows about this crap don't know thatA.Del Villar does that...I give him a year before he goes down,por pendejo(trying to be legit and slang at the same time). R U serious idiota,so ur going by what the corridos say.What a fucken looser,I thought maybe u new them.So they're the only avendaños coming out of Mexico that live in Cali!!! Mejor callate el osico,ignorante!! gotta hand it to her that with all her millions she didn't use it for plastic surgery like many unattractive singers. So your saying she was unattractive I beg to differ for her age she looked great I think that's the problem in this day in age people just wanna be fake just eat right exercise and take care of yourself well if you have the money your gonna take the easy way out your ego will tell you not to put in the time to wrk hard and why your rich . Rumors Rumors Rumors.. No one on here knows facts. Yes, we all know she had kids, marriages. Get over it. Facts are she past away , SHE was ONE GREAT SINGER and PERSON. Geez... people.. have SOME RESPECT! if YOU enjoy bashing people after they died , make sure to leave your info and have someone post, it, SO WE CAN BASH YOU! Rumor en Nuevo Laredo que el Zeta-14 El Pony fue el que la mato. Segun le puso una bomba en Su avioneta por eso exploto no tan lejos de Monterrey. Esto fue porque los Zetas le avitieron que no fuera pero Ella les contesdo que sus fans son primero que ellos y que no les tenia medio. Los Zetas si la mataron. whether it was a narco hit or not the zetas are scumbags and God has another angel to crush the snakes head the truth will come to light R.I.P may the lord put all rumors aside and judge those who are responsible for this tragedy peace and love to all. Its so STRANGE/ODD That she wrote a song about her death, also that days prior to her death she had finalized her will...Its like she knew she was in danger...someone has to know something!...Why would she depart Monterrey at that time of the night?...Did the plain catch fire when it hit ground..i would assume it would since it just departed Monterrey?...Why would the ZETAS want to kill her, why would anyone want to kill a "W O M E N" ??? The truth will prevail... Only GOD can judge! R.I.P. Jenni & the rest on board. DESCANSA EN PAZ JENNI RIVERA.. ERES UNICA!!! SIEMPRE VIVIRAS EN NUESTROS CORAZON!! All this is crazy!!! She or no one deserves to die the way they did. Two things, she had no security with her traveling. That is very odd, especially given recent issues in Monterey. That leads me to believe she felt she was safe and not subject to the whim of the cartels. Second, given the angle of descent of the plane, almost vertical and a localized debris field, it is very unlikely it was shot down. One of three things happened: massive catastrophic mechanical failure; pilot error; or intentionally putting the plane in the dive. Given the age of the pilot and lack of training of the co-pilot and small jets being notoriously hard to fly, I suspect the pilot had a major heart attack or stroke. <3 r.i.p. Jenni love you! Alot of people dont really know how things work between tha cartels y tha famous mexican singers its like tha cartels control tha singers for an example if tha cartel tells tha singers to sing something y they don't tha singer will be killed. Rip jenni.. if tha zetas or one of tha drug cartels had something to do wit her death im sure tha family know that tha police will never do anything. Maybe jenniz family will take care of whoever did this. Drug Cartel Advocate pure b.s the rivera family is known for Narco Corridos. Don Pedro came up selling cassettes back in the day to later own Cintas Acuario. Down here in SoCal we know how Don Pedro came up and it wasnt from selling cassettes at the swapmeet stand. Bajen los cuadros de la camioneta pa que se hacen pendejos los rivera. Then the producers had put a hidden camera in the hall way for the show and when it was handed over to jenni she thought the worst but it wasn't like that Chikis and jenni husband were playing a trick in these cave rigging up a baseball to roll when no one but jenni would be home but in the video it does show Esteban coming out in boxers looking out in the hall way that no one can see them and then coast clear Chikis comes out wrapped in a blanket, there was no hugging or kissing she snuck back to her room the next day knowing jenni would be alone she heard the ball bounce and roll across the floor all of this rigged by string that went out the window. Now Esteban is gay! ANGEL DEL VILLAR de. Rio frio zacatecas ay nomas. Ya, I heard what happened. 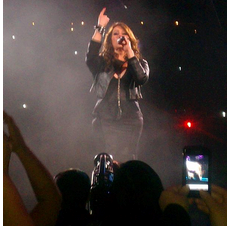 Some "La Barbie" told Jenni to do a private concert; she said no, so he blew up the plane. Because of that. Argh, all I can find is her foot and her license, nothing else.